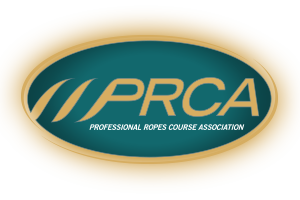 The PRCA is a contemporary and progressive industry association that supports the development and regulation of the ropes challenge course, canopy zip lines, and aerial adventure parks industry. Welcome to PRCA! A contemporary and progressive industry association that supports the development and regulation of the ropes challenge course, canopy zip lines, and aerial adventure parks industry. Established in 2003, the PRCA became the First ANSI Accredited Standards Developer in 2005 and is the sole ANSI/PRCA American National SAFETY Standard for the industry. These standards are the most comprehensive standards, applicable to both participants and employees, have been citied by OSHA in workplace safety violations, referenced by expert witness and legal proceedings, and adopted by state governing agencies for regulation purposes. Providing The most comprehensive standards for our industry that cover both employee and patron safety requirements. Stay updated on industry safety alerts and other important news. The PRCA is happy to answer any questions you have regarding safety, standards, and membership benefits.